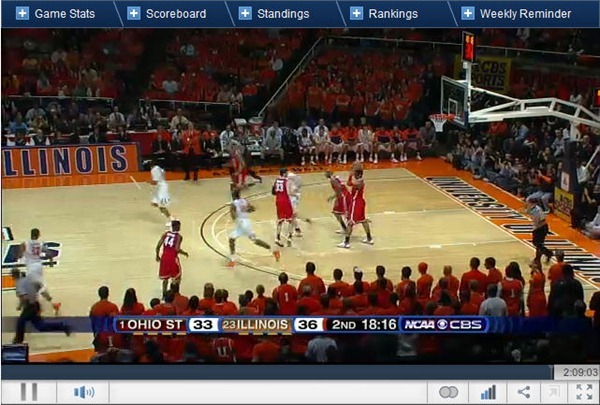 From now through the end of the regular season, you’ll get a great schedule of CBS’ college basketball live online. 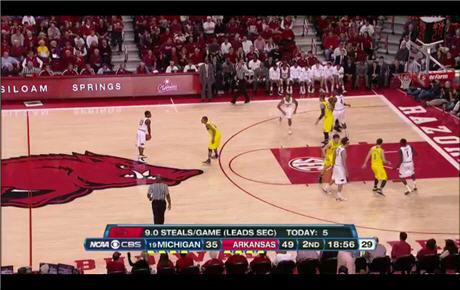 The Video player is similar to others like ESPN3, in that you can pause/play, mute, and go full screen. Tabs alongside the viewer give you access to stats, other scores and highlights, and a live Twitter feed. See the full CBS College Basketball TV schedule at CBSSports.com. Note that not every game listed will be available via live stream, but many of them will be. You can also watch all the games live on your iPhone or iPad. You can find the live game posted in the upper right hand corner of the News section under college basketball.